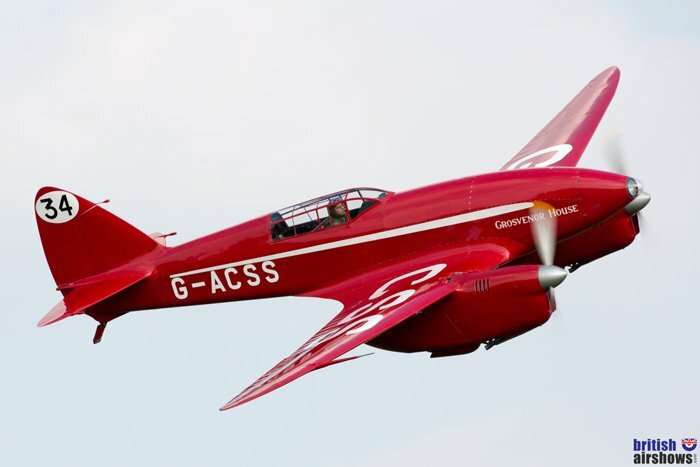 Shuttleworth welcomes the airshow season with its Season Premiere. The highlight for many at this opening show of the Shuttleworth season will be to see the two Lysanders in the air as a pair. Although the Shuttleworth Lysander is a regular at local shows, the one from ARC had not flown for over 70 years until John Romain took it for an inaugural post-restoration flight last August. 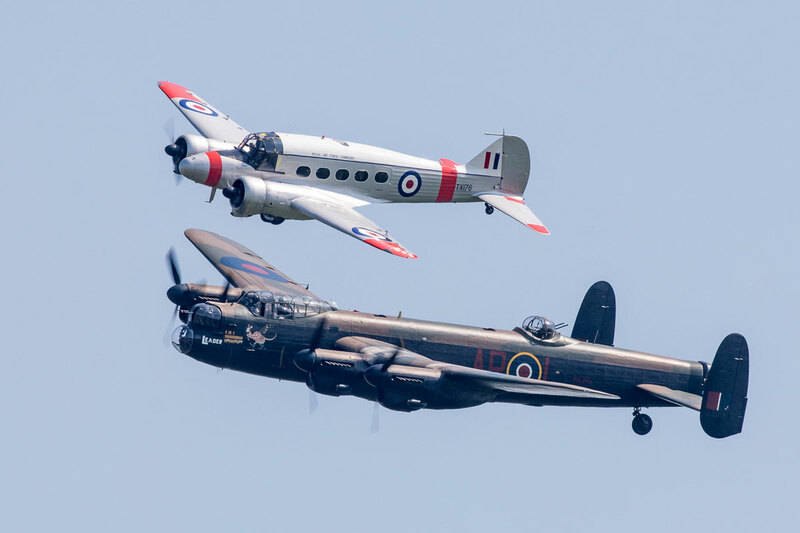 On the ground, as well as resident and visiting aircraft and a selection of Edwardian and vintage cars, there will also be a rare chance to Board the Dakota for £2 and the Catalina for £5 per person or £10 per family. Add to this live music and the chance to visit the museum, hangars and gardens. The flying list is necessarily provisional. It will be updated if additional aircraft are added or if some have to be withdrawn. The Shuttleworth Collection's own participation list is on their web site. All appearances are subject to technical, weather and other constraints ¹Appearances by the Edwardians subject to optimal weather conditions, including very light or no wind. Shuttleworth's first show of the season established a trend for 2018 by celebrating the centenary of the RAF. There were plenty of vintage aircraft with RAF connections - and a modern one, too. The star of the show for many would have been the debut public display of the Collection's Mk Vc Spitfire, whose engines ran on 25 April last year for the first time in 12 years. Unfortunately that display, although forecast by the Collection, was not possible because the recent wet weather had made airfield conditions unsuitable for the Spitfire to complete its flight testing schedule. There was, nevertheless, a wealth of other resident aircraft in the flying display, with possibly the broadest selection in terms of age range of any of the RAF100 shows, ranging from three of their Edwardians, including the Blackburn 2, the oldest British-built aircraft still flying, through to some of the Collection's post-war examples. Visiting aircraft included the Avro Lancaster, which flew on its own and with the BAe systems Anson; the Bristol Blenheim, a brace of Spitfires and, perhaps more surprisingly for Old Warden, a relatively rare appearance by a jet, in the form of the season public debut by the RAF Typhoon, which opened the show. On the ground there were plenty of static aircraft, especially along the crowd line and beyond the air traffic control tower as well as four cockpits including a Buccaneer; a Tomahawk Flight simulator and pedal planes provided by the Joystick Club. Gliders were well represented by a static air cadet glider, a UK Junior Gliding stand and Glider and BGA gliding simulator. For the young of all ages, there was Shuttleworth's usual and very popular opportunity to make and paint models in one of the hangars or, if you prefer your models ready-made, there was a display of Model aircraft representing 100 years of the RAF. The models were available for viewing throughout and also flew before the main displays. The House was open from 10 a.m. and the Swiss Gardens were open for wondering throughout the event. The first Shuttleworth Collection airshow of the year is usually the second major show of the season, following the Abingdon Air and Country Show. In 2017 the order was reversed, so the Shuttleworth Collection Season Première was not just the première for Old Warden, but the première major airshow in the UK. Forecasts of grey cloud, cold temperatures and northerly winds may have reduced the number of casual airshow fans but, although the clouds did cluster periodically, blue skies and some sunshine rewarded the many who trusted the weather gods rather than the weather forecasters and came to Old Warden to satisfy their appetite for classic flying that had built up over the winter. The second group of highlights were the combinations that Shuttleworth always does so well. Amongst them, favourites were the Leopard Moth with the Hawker Tomtit; a larger group of the Mk 1 Spitfire, Sea Hurricane & Mk 1 Hurricane R4118 and the inter-war racers; Shuttleworth's DH88 Comet which flew a number of formation passes with the Collection's Mew Gull and the visiting Mew Gull replica, before reforming into a tail-chase and then solo displays. A late addition to the programme was a flypast by Parky (Flight Lieutenant Antony Parkinson ) the BBMF's Spitfire TE311. The aircraft is still undergoing its repaint but still looked resplendent in its black undercoat. Another Spitfire to grace the Old Warden skies was the IWM's Mk 1a N3200; this example put through its full paces with the master, John Romain, behind the stick. A list of the aircraft scheduled to fly is in the table. As well as the flying programme, on the ground there was a selection from Shuttleworth’s motor collection supplemented by a few visitors. Ground entertainment included live music from Perfect Vintage, a chance to chat with one of the pilots and a flight training simulator by Biggleswade Air Squadron. Airfix Make and Paint offered free model making for the young at heart of all ages. New for 2017 was an educational entertainment tent, in conjunction with Coventry University, with a flat screen flight simulator, drones and careers advice for anyone interested in aircraft engineering. Visitors were also able to ride a vintage bus to the house throughout the morning and to visit the Swiss Gardens. 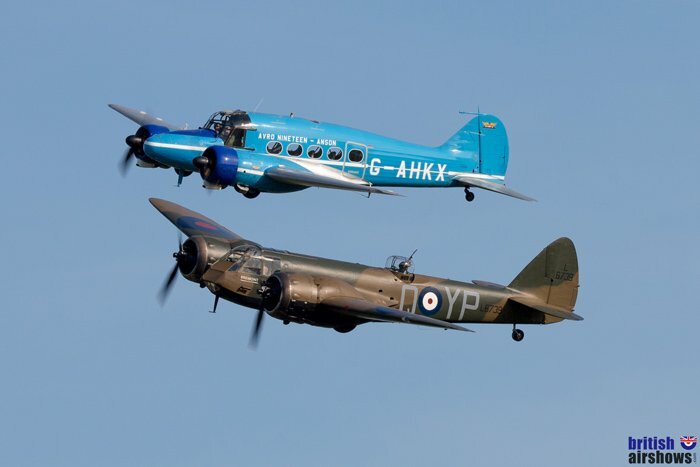 The first Shuttleworth Collection airshow of 2016 featured some heavyweights. One of the big themes was going to be bombers, but when the Lancaster became unserviceable and Sally B was not ready for the new season, it changed to heavy aircraft more generally. The Red Arrows, at Old Warden for the first time in 30 years, and the Bristol Blenheim were amongst the visitors, joining resident heavyweights including the superb Lysander as the Shuttleworth Collection opened its new season of airshows with a sell-out première. This was the first show at Old Warden since the interim safety changes resulting from the investigation into the Shoreham incident and the implications were immediately clear. On the audience side of the original barrier, a new fence announced the increase in the separation between the crowd and the display. An adjustment, too, in the display line meant, between the two changes, the doubling of the separation for the slowest aircraft to 150 metres and increased separation from faster displays to 230 metres. The fence had not moved very much; most of the extra distance being achieved by moving the display line. There were howls of protest in advance of the imposition of these new rules and prophesies of consequential doom for airshows generally. In practice, although the aircraft did seem further away, noticeably for those who attend shows frequently, the change may not have had the same impact for the irregular attender, less familiar with the old distances and consequently less likely to make the direct comparison. Nevertheless, the distance change was noticeable for the regular show-goer, more so in some displays than others. This early in the season it is apparent that there are different interpretations of the rules and, as an infringement may cause pilots to lose their authority to display, some are being extra cautious. The new regulations specify distances that are, in effect, starting points, which individual pilots, teams and venues can seek to alter. This early in the season everyone involved was feeling their way a little bit, and being very careful not to offend the rules or the people enforcing them, aware that their every move would be watched by the authorities. Hopefully, visitors will not have been so put off by the new distances, both horizontal and vertical, that they will abandon support for future shows. The new regulations have to settle down. When they do, and when everyone gets a better feel for how they can be interpreted, and how they can be modified, the intimacy of Old Warden will surely return. In the meantime, and although the greater display heights and distances could be noticed, most of the aircraft were still close enough to enjoy. It may have been the pilots, rather than the crowd, who felt the changes more, as they had to fly a less familiar, less easily followed, and possibly less comfortable display line, flying over a variety of trees, hedges and even buildings, whereas the traditional line was mostly above a safe, clearly defined runway. On the day after the show Mark Jefferies, world champion aerobatic pilot and one of the Global Stars, tweeted "It's hard to fly to the new lines that's for sure". It was not only the new regulations but also the weather that caused changes to the displays. Although a bright and glorious sunshiny day, there were strong crosswinds, which were too much for many of the older aircraft, including the Edwardians and inter-war racers that had been scheduled to display. There are lots more photos of the show on our photo page. It was the inaugural public display of the year for the Red Arrows, so their many fans had their first chance to see several new formations including the 'Wall' arrival formation and 'Tornado', celebrating that aircraft's 25 years of operational service. Last year's Revolution has also been renamed for the 2016 season as the 'Winkle Rolls' in honour of the late Captain Eric “Winkle” Brown, who held the world record for flying the greatest number of different types of aircraft - 487 - but had died in the previous February. Because of the proximity of Old Warden to the Luton flightpath, and without height clearance from air traffic control, the Red Arrows were restricted to a rolling display, despite the clear skies. However, the main display limitation came when a stray Gazelle helicopter wandered into their protected airspace. The Hawks were forced to retreat and reform, returning with enough time and fuel just for a break to finish. [Update: on 9th August 2016, Mr Kane pleaded guilty at Luton Magistrates Court to 2 offences - inadequate preparation for a flight and entering restricted airspace - and was fined £2,500 with £500 costs. His licence had been suspended between the date of the offence and the hearing]. The show's full flying list is in the table and will not be repeated here, but of special note are the combinations that the organisers of the Old Warden airshows are so good at assembling. One such displayed the recently arrived new Shuttleworth resident, Hurricane R4118, alongside its older sister, the Hawker Demon and the Gloster Gladiator. Another showcased an trainer foursome: the Blackburn B2, Tiger Moth, Miles Magister and Ryan ST-A and there was a unique pairing of the Shuttleworth-based Avro Anson with the Bristol Blenheim. It also was good to see a different four-ship aerobatic team. The Global Stars had been due to display at Abingdon, but a commitment in India forced them to cancel. They returned in time for the Shuttleworth Premiere, flying a variety of Extras each piloted by a British aerobatic champion and sporting a synchronised pulsating smoke system. On the ground the Shuttleworth Collection's Jowett and A B C Motorcycle featured amongst visiting vehicles including a 1941 White M3 Half Track PFO 220, 1942 Dodge WC56 Command Car, 1942 Ford GPW, two GMC CCKW lorries, 1945 Willys MB Jeep and 1942 Ford GPW Jeep. As usual for the venue, the vehicles were on static display and also paraded along the crowdline before the flying displays began. There was also live music from Perfect Vintage and four flightline tours half-hourly between 10.00 and 11.30, whilst the young at heart, of all ages, got a chance to 'make and paint', absolutely free, with Airfix & IPMS Brampton.